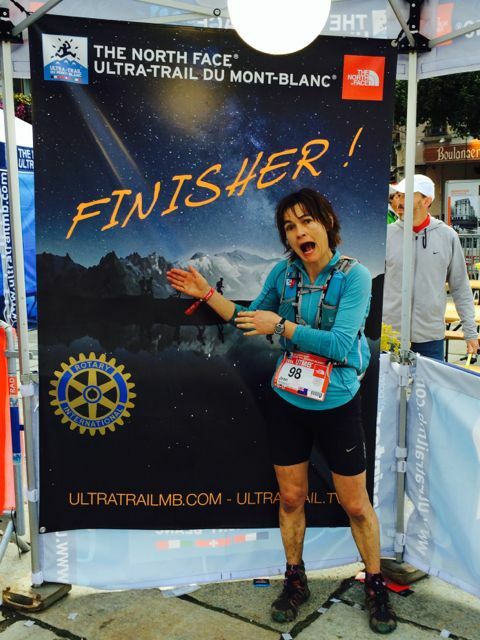 I can’t stay awake for 38+ hours straight let alone run 100 miles through the mountains of France, Switzerland and Italy, but my Kiwi friend Jean did it for FUN! I’m awe-struck!! Gotta love technology ~ we were able to track her through a live-feed as she tackled the Ultra-Trail Du Mont-Blanc. After the run, she sent a recap and it’s obvious, at this level of competition, mental fortitude is so much more important than the physical aspect. She’s not on social media which is not surprising since she spends her time with her husband, two boys, controlling aircraft (she’s an air traffic controller) and running?! but I’m hoping to talk her into guest blogging her experience one day soon. I’ve been searching and finally found the perfect “congratulations on finishing another 100 mile race” gift. It’s a t-shirt with the saying Strong is the new Skinny. I found it at Bear Strength which is a UK based cross-fit attire company but the clothes are for all types of workouts. Since Jean is the strongest woman I know, it couldn’t be a better choice (hope she likes it as much as I do). I’m going to order one for me once I finish my next race as a congratulations to myself! My fingers are crossed that Jean’s next 100-mile trail run is here in the states so I can be in the support van (where I hope napping is allowed)! Pretty incredible! Love the t-shirt! My book group read Born to Run by Christopher McDougall, which is all about ultra-marathoners. It’s a fascinating book and I recommend it if you haven’t already done so. Thanks for the book recommendation ~ I’d love to read about the mind-set behind ultra-marathoners. An amazing story. I hope you succeed in getting a guest appearance with her. Thanks for the story. I know the area of that Ultra Trail and believe me that those miles are HARD. I trek on those mountains and there’s no such thing as flat land there… Big respect for Jean! Wow that is seriously unbelievable and inspiring! Can’t even imagine going that long! Good on her! Thanks for a daily dosage of motivation! Thanks for stopping by. I have a hard time thinking about 100 miles as well ~ it’s so amazing to me. The male first place winner of the race ran it in just over 20 hours. Crazy fast.